Lithuania has one of the highest divorce rates in the EU. Divorce here can be by mutual consent, provided a year has passed since getting married and there is a comprehensive settlement agreement in place that deals with children and finances. A husband or wife who is considered to be responsible for the end of the marriage has no automatic right to maintenance. The marriage lasted less than a year. The spouse claiming maintenance commits a crime against his or her spouse. The person claiming maintenance only requires financial support because of his or her own irresponsible actions. 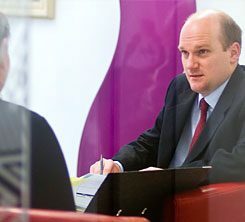 We are specialist divorce solicitors and family lawyers and we advise clients who have a connection with Lithuania. Our clients can include those who are UK–based but originate from Lithuania, are living in Lithuania but have a connection with England or Wales, were married in Lithuania, or have other family connections with Lithuania.